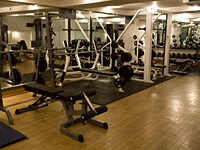 Situated within the celebrated Royal London Borough of Kensington & Chelsea, the Kensington Close Hotel is a superb choice for business and leisure guests alike. Just round the corner from the stylish shopping streets of High Street Kensington, the hotel is also within walking distance of Portobello market and the trendy Notting Hill area, while the world famous Harrods and upmarket boutiques of Knightsbridge are only a short bus ride away. The Kensington Close Hotel is conveniently local to an abundance of attractions including Hyde Park, Kensington Gardens, the Royal Albert Hall, the Victoria & Albert museum, the Natural History and Science Museums and Buckingham Palace. Olympia and Earl's Court Exhibition Centres are within walking distance from the hotel and the City, West End theatres and shops and cafes of Covent Garden are only 20 minutes by tube from nearby Kensington High Street Underground Station. Paddington Station for trains to Heathrow Airport is only 3 stops away and Victoria Station for trains to Gatwick is 4 stops away. 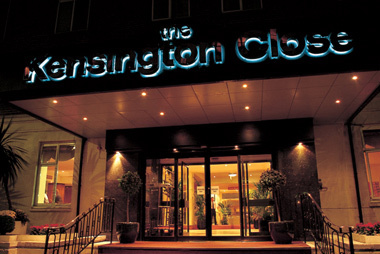 The Kensington Close Hotel offers 550 well appointed, non-smoking rooms, excellent hotel facilities and the highest standards of service. 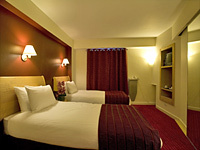 Bedrooms are furnished with a warm colour palette in a clean and modern style and include private en-suite bathroom. Generous room amenities include a work desk, Wi-Fi internet access, LCD TV with satellite and pay movie channels, tea and coffee making facilities, direct dial telephone and in-room personal safe. A trouser press, ironing board and hairdryer are also provided as standard and all rooms have individually controlled air-conditioning. 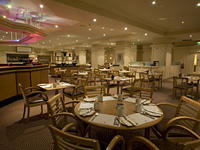 The hotel offers 24 hour room service and a wide array of food and beverage outlets to cater for all possible tastes. 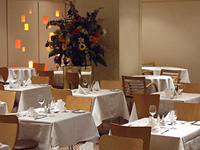 Senses Restaurant is the hotel's main restaurant serving continental and Carvery buffet style meals and English or Continental buffet breakfasts. The Blue Smoke Restaurant offers international cuisine in relaxed, intimate surroundings and Lions Bar & Grill is open all day offering light meals, snacks and an extensively stocked bar. 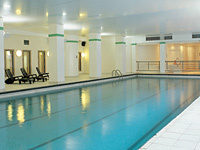 Hotel guests have free access to the Emotion Leisure spa, which features a fully equipped fitness centre, 18-metre indoor swimming pool, sauna, steam room and Jacuzzi. A range of relaxing massage and beauty treatments are also available. 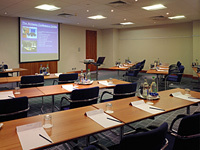 The Kensington Close Hotel has a comprehensive range of conference and event rooms and offer packages that can accommodate anything from 2 to 350 people. 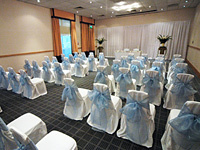 A dedicated and experienced Events Team is on hand and there is even a 'secret garden' available for exclusive hire. 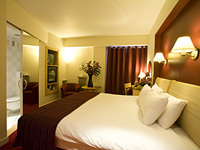 The rates are per room only per night and exclude VAT.